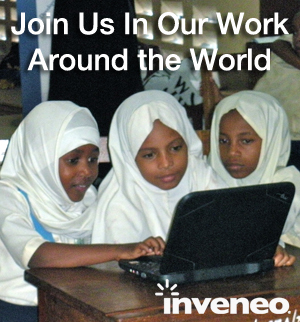 Inveneo has been incredibly busy this past month gearing up to create 25 distribution points that will connect 100 sites with solid, reliable Internet connectivity. 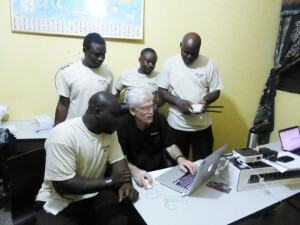 As part of the Ebola Response Connectivity Initiative (ERCI) project, these new Internet connections will be used by Ebola medical centers or NGOs in Sierra Leone, Guinea, and Liberia. Once these connections are made, how will they be managed? Inveneo is already well underway to answer this question: by creating a NOC (Network Operations Center) that will be located in Accra, Ghana. 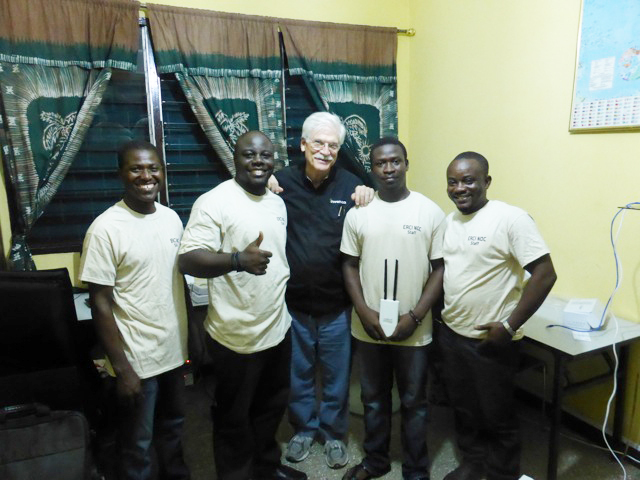 Our Inveneo Certified ICT Partner in Accra is TechAide, and this past month our team member Bob Marsh travelled to Accra to begin preliminary training for TechAide technicians who will eventually run the NOC. Kafui Prebbie, the current CEO of TechAide, brought several team members to be part of the training: Selassie Anku, TechAide’s main backup engineer, Courage Anku, its primary NOC engineer, and Godfred Prebbie, TechAide’s CTO. TechAide’s engineers and Bob Marsh spent the first day of training focusing on the theoretical and organizational aspects of the Ebola Response program and the hardware configurations that are deployed in the field. The participants worked on exercises with Ubiquiti equipment, concentrating on how to resolve issues. Eventually Inveneo and TechAide will be using a set of sophisticated cloud-based software tools to manage the NOC. The engineer’s next steps are to read all the elements of the curriculum materials from the training to further their learning. 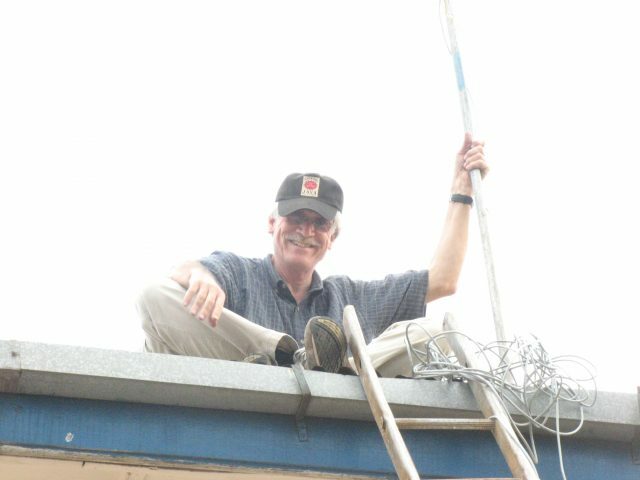 Bob Marsh was excited to see the enthusiasm of the participants, and our current joint effort is to the make sure the NOC is fully operational by March 4th, 2015. In addition, Inveneo’s Project Engineer Eric Zan will be traveling to Accra in mid-February in order to offer more NOC training before he joins other Inveneo workers in Sierra Leone. Inveneo’s Samuel Perales will also provide follow-on operational training and coaching when he returns to Accra from Sierra Leone in early March. Monitoring performance to see if there is a problem. Responding quickly to a reported problem. This may be fast enough that users in Liberia, Sierra Leone, and Guinea will not be aware of any issue. Diagnosis and dispatching after a problem is reported. Those working at the NOC will figure out if they can fix the issues remotely or not. If they are unable to fix it from Accra, they will contact the Inveneo ICIP that is geographically closest to the problem. The NOC in Accra, Ghana will constantly monitor all connected sites. For three months after the NOC launches, TechAide workers will work 8 hour shifts and 6 days a week to ensure any problems are quickly dealt with and Internet access is maintained. We certainly applaud all the hard work and time that they will be putting in! Many thanks to TechAide for their partnership and the great work they are doing to keep an eye on the ERCI program’s 100 Internet-connection locations!